From Marvel and DC Superheroes to Elsa from Frozen, as well as Rainbow Unicorns, Mermaids and festival eyes. 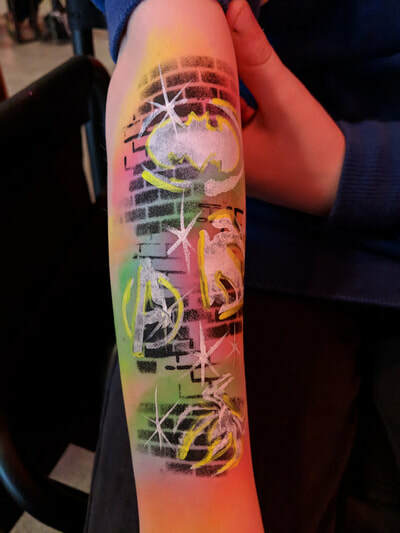 The only limit to our designs is your imagination. 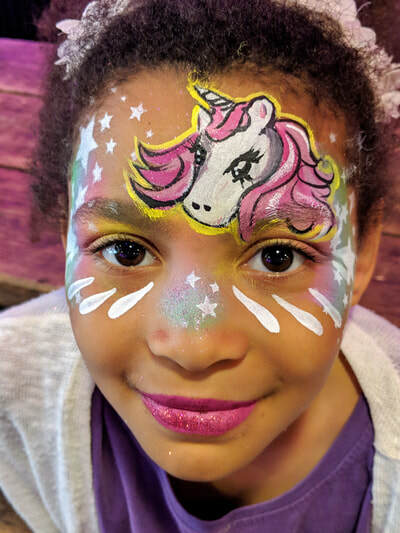 Want to add something special to your face paint - then add some face gems, unicorn horns or light up bling. 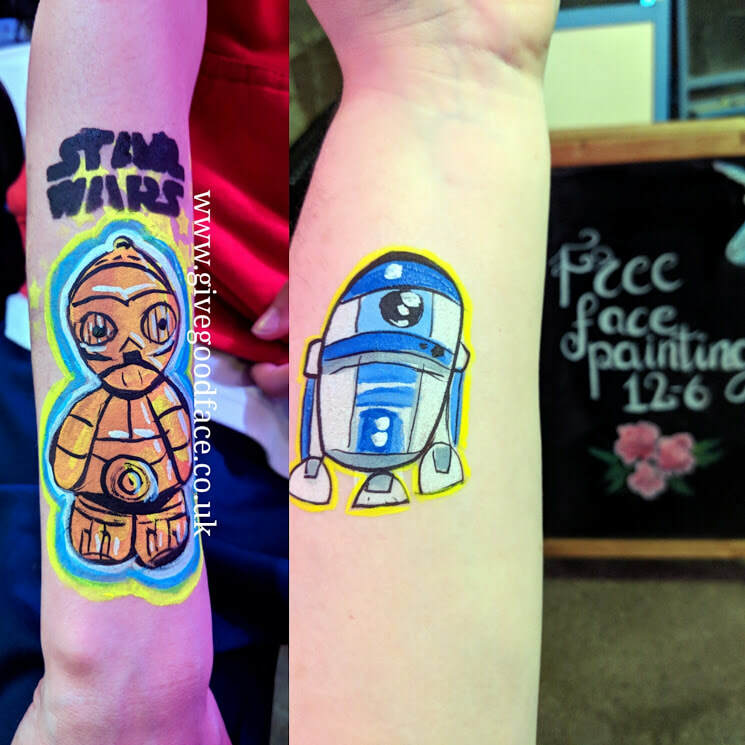 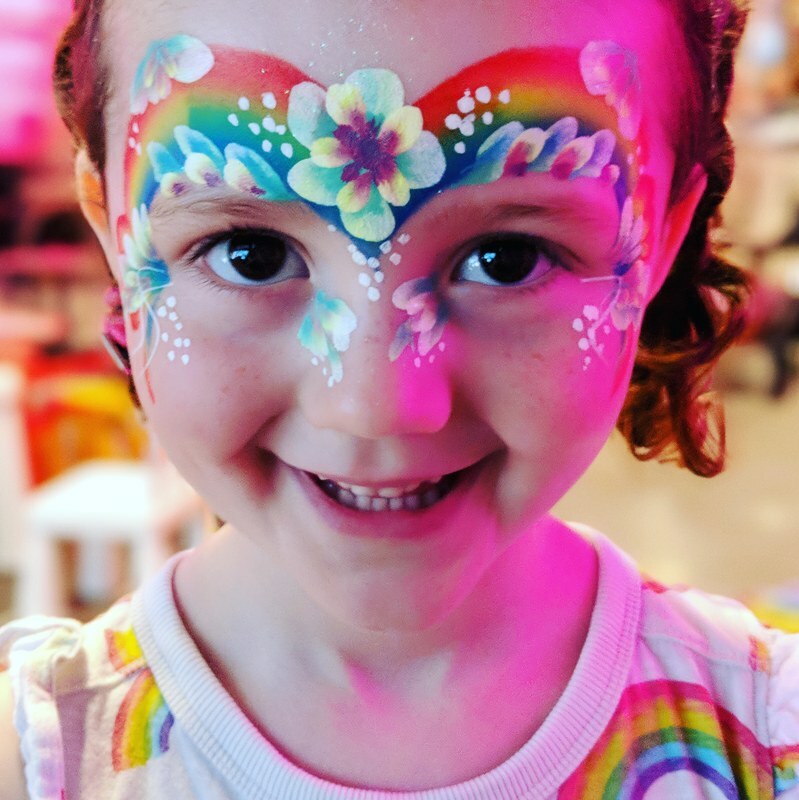 If you have a theme for your party we will do custom face painting to suit. 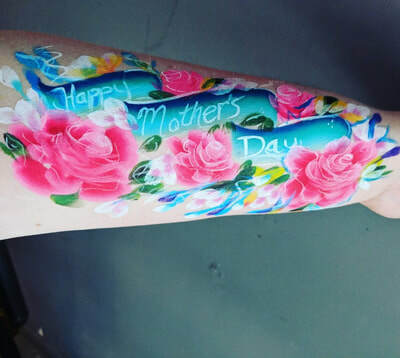 It doesn't need to be face painting. 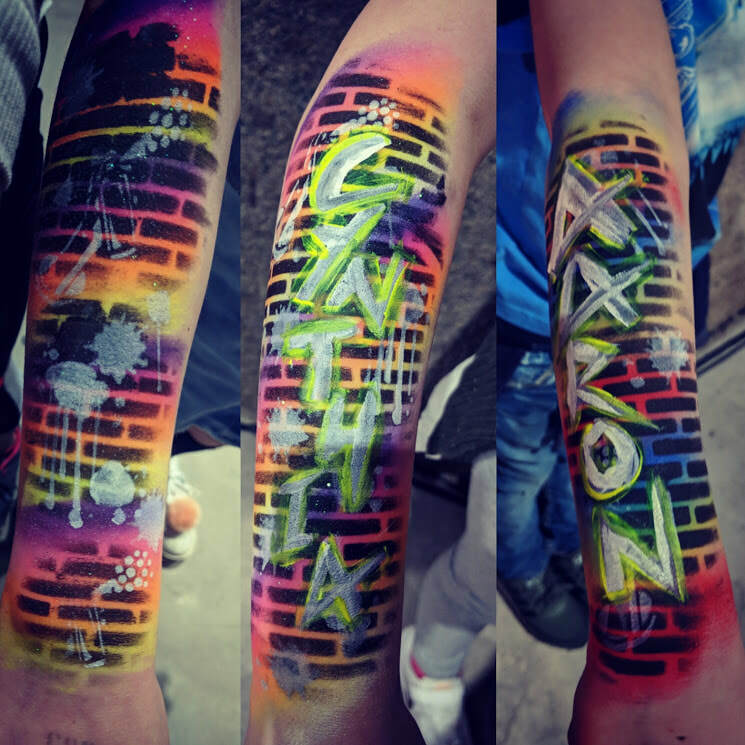 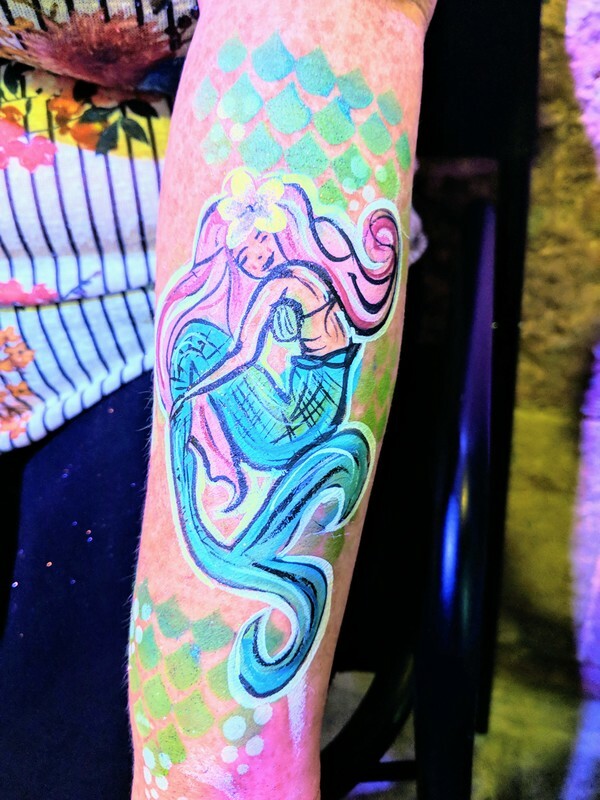 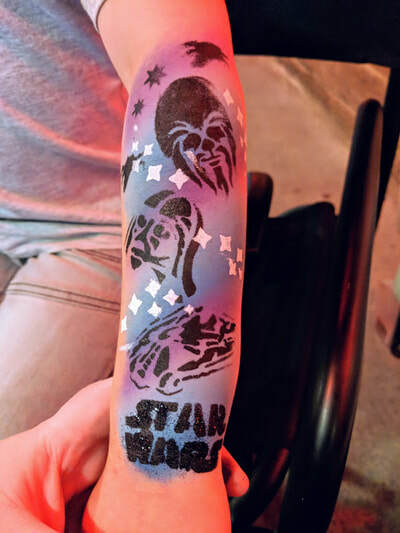 We offer tattoos and Graffiti Arms too. 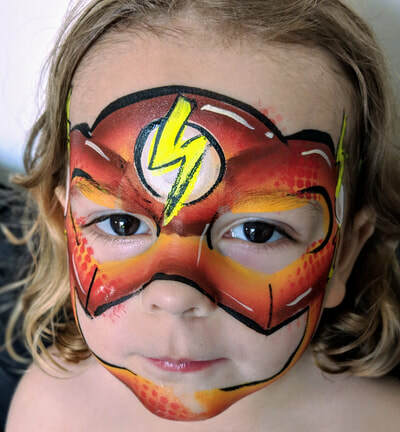 Too cool for face paint?